Converge have revealed that a follow-up film to 2003's Long Road Home arrives later this fall. Dubbed Thousands of Miles Between Us, the documentary/concert film lands November 27 through vocalist Jacob Bannon's Deathwish Inc. imprint. As previously reported, Bannon had told Exclaim! in the spring that the band were working on issuing the movie later this year, noting at the time that they were editing down somewhere in the neighbourhood of 18 hours worth of material. A new listing for the package explains that the first disc of the three-disc Blu-ray release contains a full, 20-song set filmed at Philadelphia, PA's Union Transfer venue during the All We Love We Leave Behind tour. The concert was shot using multiple camera angles and was later edited by Jimmy Hubbard (Guitar World, Vice). Alan Douches at West West Side mastered the audio in stereo and 5.1 configurations. 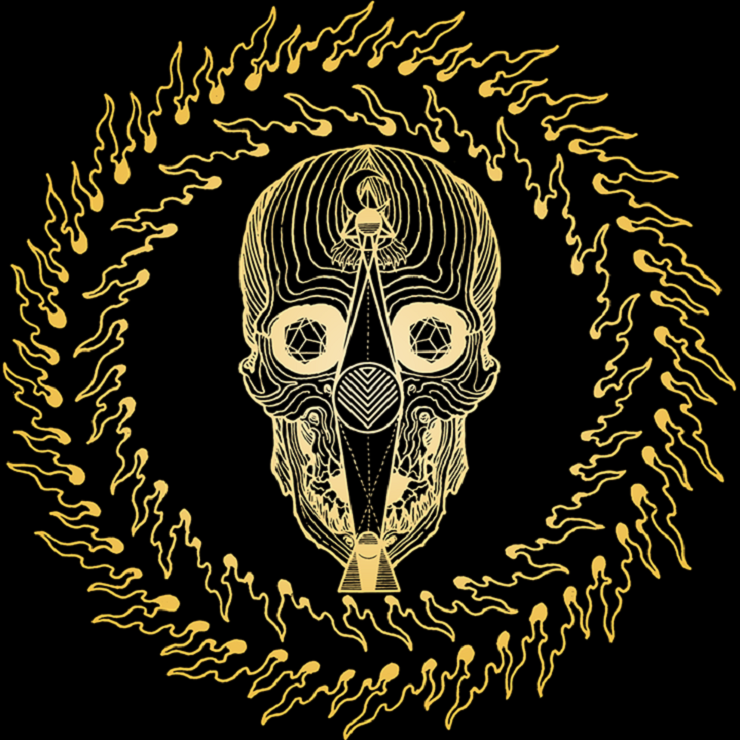 The second and third discs include various interviews, concert clips, music videos, behind-the-scenes action and more, with the collected footage "spanning over a decade in the life of Converge." A deluxe box set edition of Thousands of Miles Between Us adds a double LP of the Philadelphia performance, housed in "a Gold Mirror Board Wide Spine LP Jacket," a 160 page 12x12 book featuring era-appropriate photos of the band, a slipmat, an embroidered patch and more. A digital edition of Thousands of Miles Between Us is also being released, though it'll only cover the Union Transfer material covered on the Blu-Ray release's first disc. Pre-order information will be put up shortly. In the meantime, you can peep the cover art, which was done by Thomas Hooper (Tombs, Doomriders), up above.